Combatting indoor allergies Find out steps you can take to reduce suffering. Plants and your indoor air quality Reduce your volatile organic compound levels! Handling Odors in Commercial Buildings Ozone generators can help - with certain precautions. How to choose a filter Check out our chart. Carpets and your indoor air quality Keep them clean, keep them dry. Find out more. To sanitize or not to sanitize. Sanitizing is not always a good idea, find out why. 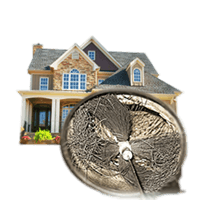 Mold inspections when buying a house Find out what to look for. How often should you clean your heating, ventilation and air conditioning system? Sick Building Syndrome What is it and what can you do about it? Now that the smoke has cleared. 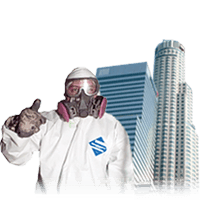 How to handle IAQ problems after Southern California fires. Indoor Air Quality and your Building. What it REALLY takes to clean an air conditioning system! See the pictures! Fiberglass - Effects and Alternatives OSHA - Find out what they have to say. The Magic of Out Side Air The secret to reduce toxins in your building. The Purpose of indoor air quality investigations. Hopefully it's not to take measurements and not resolve the situation. Action to Take Before and Aftera Build-Out After the build-out the area should be environmentally deep cleaned. Ozone and Odors Inherent instability of ozone is also the impetus behind its ability to neutralize odors. Dust - It's not just dirt! It's skin flakes, fibers from clothes and more. Humidity and Indoor Air Quality Don't let humidy reduce your indoor air qaulity. HVAC Cleaning after 16 years It’s always been our goal to make our product last. Going all the way with your indoor environment! Find out what it takes. Something's in the air - you know it!' It's not just in your head. Fresh Air - Keeping those employees conscious They produce more when they're conscious. Coils and Hygiene! A common source of occupant complaints! Coils, Coils, Coils! Hygiene, energy efficiency and system longevity. Yes, they are important. Drain Pans - how to handle Rusty, corroded condensate pan? 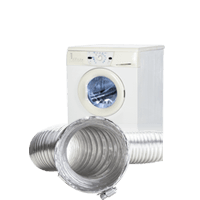 Why air duct cleaning? Let George Machado explain. Are dirty ducts adversely affecting your health? probably. Handling Mold The most effective way to deal with mold is to prevent water from entering the building envelope. The dose makes the poison Virtually any mold type can be allergenic to certain individuals. The Mold Toxin Controversy Mold spores are everywhere! Mold Part 1 Nature's Recyclers. Mold Part 2 Nature's Recyclers. Sound Proofing An IAQ tail of too much sound proofing. George the legend George Machado and a new construction odor. Clean Room Odor Chasing the cause. Tight houses Great for energy efficiency - can be a problem for indoor air quality. Electrostatic Filters The pros and cons. Legionaire's Disease Unraveled Bacteria commonly found in water supplies. Sanitize those swap coolers. Light Bulbs Confused about the new laws about incandescent light bulbs? Listeria Bacteria Often in the news, find out more. Cutting Heating and Cooling Costs. Let technology take control. Dust mites They can cause a range of symptoms, find out what to do. Energy Efficiency ... a new look. History of Cool - how did we get here? Aspergillus Aspergillus is found under normal conditions in soil, decaying plant debris, compost piles and stored grain. 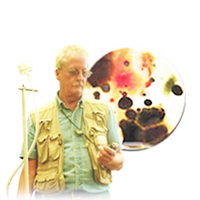 Penicillium One species has even been detected in diesel fuel. Stachybotrys This is the infamous “black mold”. Chaetomium Found in soil, on cellulose materials, including woody and straw components and animal waste. Ulocladium Found under normal conditions in soil, animal waste products, grass, paint, paper, textiles, and decaying plant matter. Cladosporium Often a secondary invader following Penicillium and/or Aspergillus. Aurobasidium This is a yeast-like fungus. Early on it is cream color to pink, but grows much darker with age. Ozone It has an odor generally described as a sharp pungent smell with some similarity to chlorine. Natural Gas Methane, Butane, Propane, Pentane and Ethane. Methane They add a smell to it so you don't ignore it! Radon Radioactive, colorless, odorless. It's a good idea to get it tested for. Volatile Organic Compunds (VOCs) New carpet, furniture and paint can off gas VOCs! Hydrogen Sulfide Rotten eggs smell, often from sewer gas. Formaldehyde Used in the production of pressed wood products like plywood and particle board. Carbon Monoxide It is a colorless, odorless gas. It is toxic to humans. It can be deadly at sufficient quantities. Carbon Dioxide State of California recommends that CO2 levels remain below 800 ppm.